While talking about Sri Kalki's Ponniyin Selvan, my manager was metioning a book by name "The DaVinci Code". This book has raised a conspiracy relating to the life of Jesus Christ[i was thinking only Jesus would be the only person out of any conspiracy, at last!]. The book claims Christ was married to Mary Magdalene, and seems to reveal various other fictious facts [call it an oxymoron]. Though the catholics were successful in projecting Magdalene as a whore, Dan Brown( the author) has tried to restructure turth, and shake the believes of the true faithful believers. This book is mere fiction, but the effort taken to research on the story propeller, makes us think. Im yet to read the book, myself. Conspiracies have always been the favourites, these days. My favourite conspiracy is the Tejo Mahalay - a famous Shivan temple centuries before. And now called Taj Mahal. Feel like hitting me isnt it ? 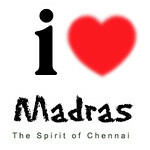 Whats more, its raining in chennai today, taking a break on Tuesday. Unfortunately lost a bet with my friend. I bet on "Its going to rain today.." and the skies were so merciful[Damn], that it never even dropped a raindrop. And right now, outside my window i see the angels from heaven falling down the sky, kissing the ground. How many of us like the pleasure of getting wet on a rain. Whats more important than a Kamalhaasan picture announcement. "Mumbai Express" - Kamals next flick officially announced.So we got Rajini's Chandramukhi, Kamal's Mumbai Express and Vikram/Shankar's Anniyan all of them released on April 14th. Let us see if we get quality entertainment.